Adding some of any alcoholic drink to your recipe makes all of us feel like naughty children; the reality, however, is that except for the taste, adding a tad of alcohol to your dish makes no difference at all. 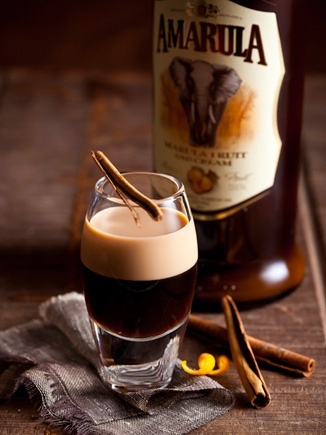 A favourite alcoholic beverage to add to your recipe is the tasty Amarula drink; this drink works in many coffees, cakes and even in certain fine cuisines. Made from Africa’s juicy marula fruit, this drink is a firm favourite of many people world-wide and today we will add it to some sweet cupcakes. These cupcakes are perfect for a birthday or, well, any day you feel like cupcakes. In a somewhat large bowl, cream the butter until smooth. Add the dry ingredients in two parts, with the milk and Amarula in-between. The recipe makes 12 Amarula Cupcakes and we doubt this would be enough for your guests, no matter what the occasion. Except for Amarula you can use other alcoholic spirits in your dessert recipes like whiskey and brandy. In South Africa Brandy Pudding (or Tipsy Tart) is especially popular and is known as a traditional Christmas pudding for many families. Once you’ve started experimenting with alcoholic beverages in your food – especially desserts – a new taste sensation will open in your world. But to start with, try these Amarula Cupcakes for your next event and while your guests are raving about their tasty dessert say a silent thank you to the marula fruit tree for making you a hit.